Cruising is a luxurious pleasure, and dining has always played a big part of the cruise experience. From breaking your fast with a relaxing continental breakfast to dressing in your very best for an evening of fine dining, food plays an important role in the cruise liner life. The vast array of high quality restaurants on board cruise ships today offer an incredible variety of delicious cuisines from around the world. Make eating on board an experience to remember with some of the best new restaurants on the high seas. Brand new from P&O, Dragon Lady brings the intoxicating flavours of Asia to, well, wherever your ship finds itself! The sultry and mysterious décor creates and intimate setting for a truly seductive dining experience. From steaming dumpling baskets to sizzling teppanyaki style dishes, Dragon Lady is a tantalising taste of the Orient. 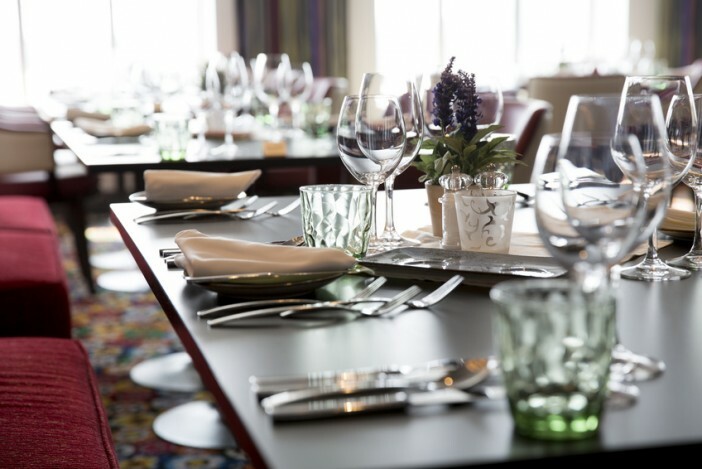 You can find this exciting new restaurant on board Pacific Aria and Pacific Eden P&O cruises. Explore the latest in contemporary cuisine at Chic. Dishes and meals are continuously evolving, with each new an celebrated chef bringing something fresh to the table. Experience it all when you dine at Chic, where the latest flavours and combinations arrive on your plate before they become the next big trend. Sample succulent meat dishes, addictive sides and irresistible desserts. The first ever Australian celebrity chef at sea, Luke Mangan brings his creativity, flair and passion for food to this menu to bring the freshest and finest Australian ingredients into his signature dishes. The popularity of this restaurant at sea has even inspired land-based Salt grill restaurants in cities across the globe. It’s no surprise, since Luke Mangan has been invited to cook for the likes of Richard Branson, Tom Cruise and Bill Clinton to name a few. Traditional pub grub has been given a gourmet make over. In collaboration with Chef Ernesto Uchimura, chef of the original Umami Burger restaurant, the Gastropub brings pub favourites into the fine dining arena. Try the exclusive “Ernesto” burger, a succulent rib eye burger crafted exclusively for Princess. Located inside the Wheelhouse Bar on selected Princess ships, you can also sample award winning whiskies from the extensive Whiskey Bar Menu. Book your next cruise with Cruise1st.com.au and enjoy a fine dining experience in one of these amazing restaurants.